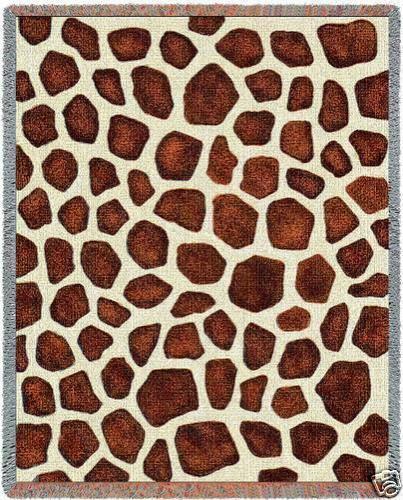 "Giraffe Skin Print Throw" This fun and unique giraffe skin print throw blanket will make a great addition to any room. The warm brown and white threads are woven on a Jacquard loom. This throw is a real eye-catcher and adds a great conversation piece to your decor! Measures 53" Wide x 70" Long. Cotton blend. PLEASE NOTE: Shipping ONLY within the continental U.S. Hawaii, Alaska, and Puerto Rico must contact seller for shipping quote before ordering.